The Earth-sized astronomical bounty circles a dim star that flew under the radar of exoplanet researchers. 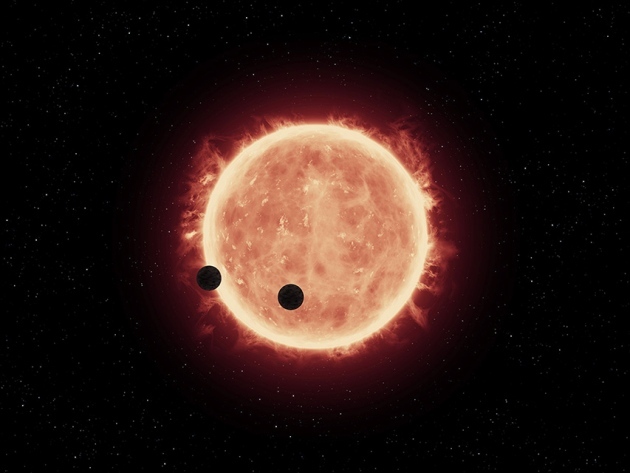 Seven alien, Earth-sized worlds bask in the cool, red light of their parent star. The planetary menagerie exists around a star overlooked by other exoplanet hunters, although it is just 12 parsecs (39 light years) from Earth. Astronomers have found other seven-planet systems before, but this is the first to have so many Earth-sized worlds. All of them orbit at the right distance to possibly have liquid water somewhere on their surfaces.